Socks, and booties, for a dear friend and the child he and his lady are expecting. 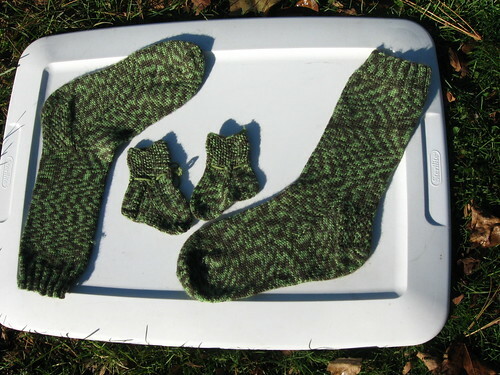 Socks, adult male medium, and Booties, newborn size. 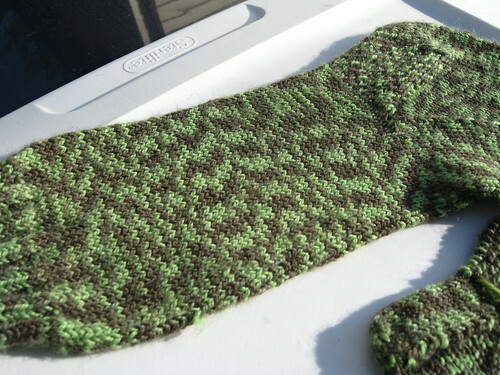 The yarn is Plymouth Yarn Company’s Happy Feet Yarn. The yarn has short (1-2 inch) stripes of green and black, and it’s turned into an unusual stripe pattern that I actually kind of like. Not the sort of thing I’d want to wear myself, but it’ll suit my friend to a tee- he’s quite the mad scientist. No pattern- just the usual basic sock, with a short ribbed cuff and a dutch heel. My gauge wound up at 9 stitches to the inch on size four needles- which feels kind of obscene. The booties are basically very small socks, with a seed stitch leg/cuff and a stockinette foot. 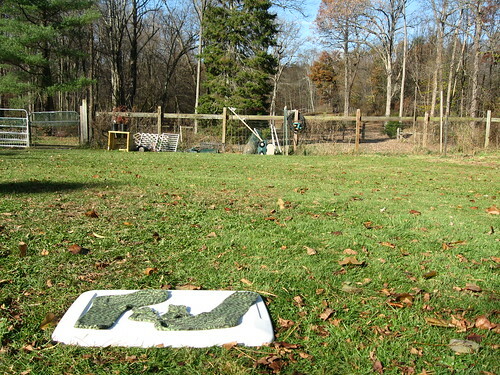 This entry was posted in Knitting and tagged baby clothes, knitting, socks, wool. Bookmark the permalink.